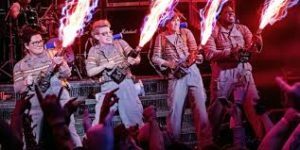 Ghostbusters 2016 is a reboot of the 1984 film of the same name. Ghostbusters is a 1984 supernatural comedy film written by Dan Aykroyd and Harold Ramis. The film was directed and produced by Ivan Reitman. The film stars Aykroyd, Ramis, Ernie Hudson and Bill Murray. The stars start a ghost-catching business in New York City. Madcap hilarity ensues plus Sigourney Weaver as a love interest for Murray and Rick Moranis and Annie Potts stealing most of their scenes. 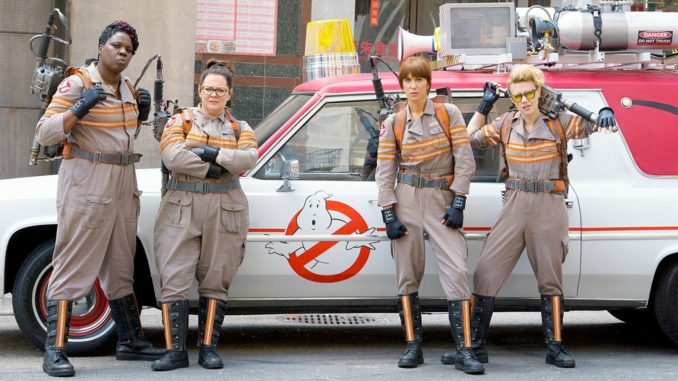 Ghostbusters 2016 is much more of a direct for the laughs comedy with supernatural shenanigans. The film is directed by Paul Feig and written by Feig and Katie Dippold. This time around Kristen Wiig, Melissa McCarthy, Leslie Jones and Kate McKinnon are the Ghostbusters once again in New York City. While there are references, cameos and nods to the original franchise, this movie stands on its own. This is a straight out comedy that works. The plot is ghostbusting and saving the city but make no mistakes, this movie is about the funny. Some people called it a “chick flick” but I never even thought about the main stars being women. This is a funny movie. Big props to Melissa McCarthy for not overacting in this film. She was real but still funny, which is nice compared to some of her solo films. Kristen Wiig is also reserved. This allows Leslie Jones to get some solid laughs. 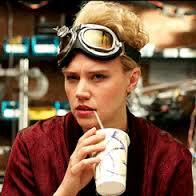 Kate McKinnon is a tour de force of weirdness as Jillian Holtzman. McKinnon fits in perfectly with the odd occupation that is Ghostbusting. Any time Mckinnon was on screen I was laughing. 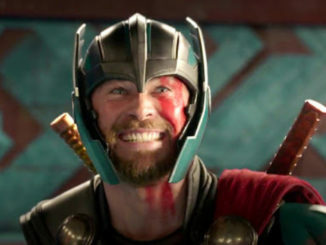 The other surprise was Thor…er…Chris Hemsworth. Usually, Hemsworth is played for beefcake appeal, and he is still handsome but his strength here is a scene-stealing physical and dumb guy comedic powerhouse. Nice surprise to see someone cast against type/expectations. The only thing that perplexed me was the new tagline of “Answer the call”. “Who you gonna call?” was a much better slogan-tagline and it doesn’t make sense in this movie. Want to learn more about Ghostbusters? The Charlotte Geeks have their own podcast: Guardians of the Geekery. Check out our four minute Ghostbusters movie review podcast here! Matt is a husband, writer, podcaster and geek. Find out more about Matt here.